The winners of the Fine Arts, Artisan and Comedy 2016 ARIA Awards have been announced, while the nominees for the remaining categories were also revealed. Aussie wonderkid Flume took out three awards this morning, his album Skin winning him and his team Best Cover Art, Engineer Of The Year and Producer Of The Year. Flume’s Dad was on hand to accept his son’s award, while Flume appeared via video and we heard that he’ll be performing at the actual ARIA Awards ceremony at The Star in Sydney on Wednesday, 23rd November 2016. 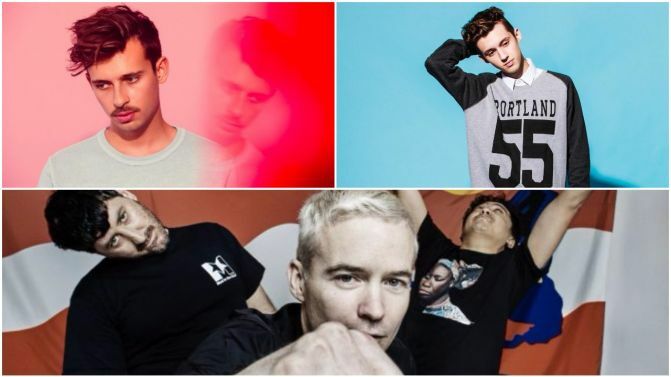 When it came to the nominations, two artists stood head and shoulders above the rest, with Flume taking 11 nominations in total and Troye Sivan securing seven of his own. The Avalanches, Sia and Illy all grabbed six noms, while RUFUS, Violent Soho and King Gizz took five each. Besides Flume, today’s winners Fine Arts, Artisan and Comedy winners also included Flight Facilties, who took out Best Classical album for their live record with the Melbourne Symphony Orchestra, while Josh Pyke & The Sydney Symphony Orchestra took out best original show album. Melbourne Ska Orchestra, Vince Jones & Paul Grabowsky and Roy & HG also won their categories. View the full list of 2016 ARIA Awards nominees and Fine Arts, Artisan and Comedy winners, below.